There’s no definitive answer for that, but one of the most commonly prescribed exercises to help with low back pain are: squats! Watching myself with a bad haircut repeatedly doing squats is actually a little disturbing, and leading me to critique my own form..
Why are squats good for us? 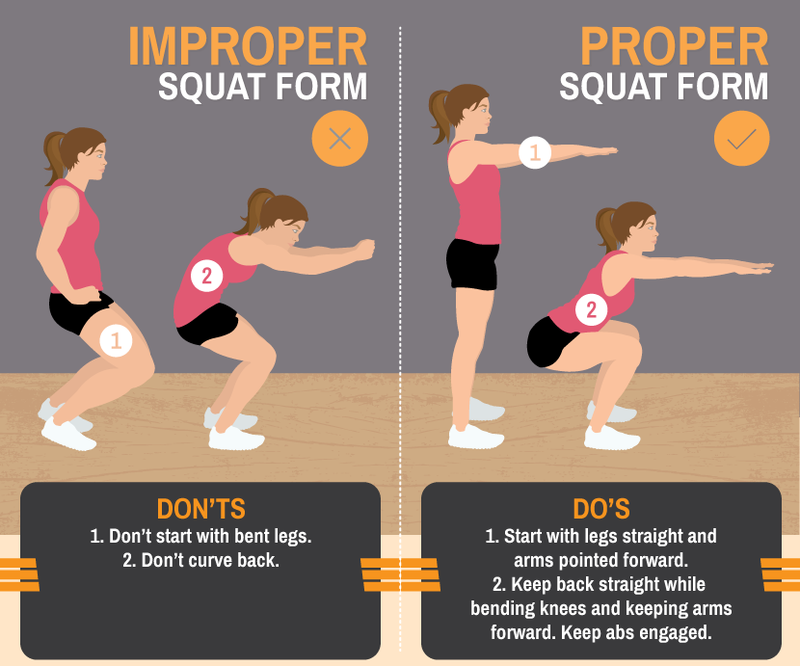 Squats are used primarily to build strength through the muscles in the hips. The idea is that by being stronger in the hips, it reduces the workload for the sore/overloaded low back. Squats help to push the hip and pelvis around more efficiently, and decrease muscular demand for the erector muscles of the spine. Given that the gluteal muscles we’re training with squats are some of the biggest most powerful muscles we have, getting them stronger allows for easier global movement as well! Every individual is different, with different anatomy. Our Osteopaths will always check and modify your squat technique to suit your mobility and current strength levels. -Limit depth to what you can control smoothly, and pain-free. It is always a good idea to do some gluteal stretching, or self-massage to the hips before and after performing squats. Most importantly, squats should not hurt. If they do, please consult with one of our osteopaths so we can work out why, and what we can do to help!